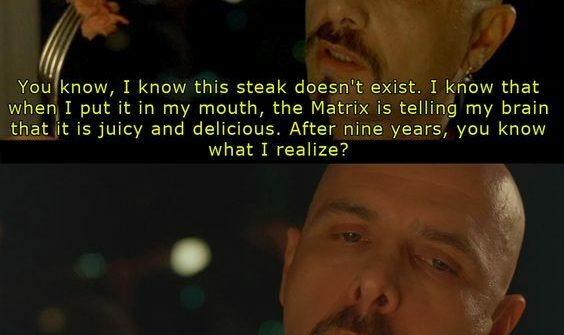 Remember the guy in the Matrix? Eating his steak and quaffing his red wine. We don’t want to be like that do we ? The truth shall set us free right? Is the world worse today than it was in the good old days? Is the future bleak? Hans Rosling. He’s funny and enlightening. I’m a little late to the game, some people have been watching him since 2006. I heard Bill Gates saying his book was the most important book he’d read. That’s got to be worth a look I thought. Then I found this video. It’s basically like Bill Hicks used to say “I don’t recommend you watch CNN 23 hours a day like me, its all disease, war, death, famine, disease, war, death, famine and you look out your window and the birds a gently singing. Where is all this stuff happening!? “ Part of the media’s job is to bring you this stuff. It’s their job to keep you watching. Fear and consumption. I’m always trying to question my beliefs. I think it’s healthy. What are beliefs but things you’ve been handed, things you’ve read or seen and assimilated. Please watch this. Also I just love the way he says “SHHIMPS”. We got to be better than Shhimps.